With Sunday night's MTV Video Music Awards and Monday's Emmys on deck, social media has been flooded by shots of Taylor Swift's onesie and musings on whether True Detective will beat Breaking Bad in the best drama category. But all the glitz and glam of the awards circuit disturbingly overshadows the undercurrent racial tension in America that culminated in the Ferguson riots over the tragic murder of Michael Brown by police officer Darren Wilson. Brown's funeral is being held Monday in St. Louis. The contrast between the excitement and fleeting moments of the VMAs and the Emmys and the lasting, painful effects of Brown's murder are stark, and make me wonder: what place and responsibility do celebrities have to acknowledge Mike Brown's death? 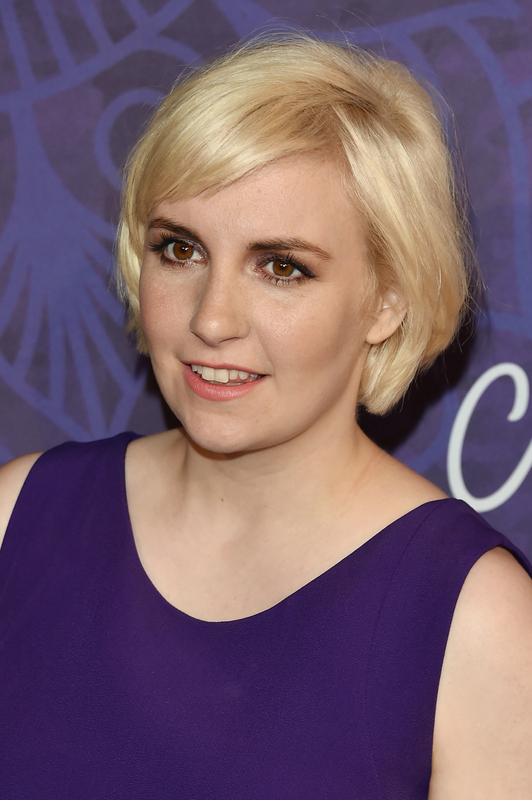 On Monday, Lena Dunham spoke up via her Instagram account, on which she posted a graduation photo of Brown, pleading her followers and celebrity friends to remember and commemorate the teen on the day of his funeral, and not to let his memory be overshadowed by the awards shows. She calls for support of his family and the mourners, which numbered in the thousands, all entering the service with their hands raised in the "don't shoot" position. Dunham's Instagram is an admirable gesture, but it also highlights the silence of the majority of celebrities in the wake of Brown's death. Of course, many black celebrities have expressed their sorrow and outrage, like John Legend and Killer Mike. But when you take a look at the amount of famouses who have completed the Ice Bucket Challenge in comparison to those who have spoken out about Brown, there's a huge chasm. Why? It might be because completing the Ice Bucket Challenge to support the ALS Foundation is a more innocuous cause, devoid of controversy — it raises awareness and donations for research to combat the disease. Which is, resoundingly, a good thing; a celebrity dumps ice on their head, we all get to giggle at their candid shocked reactions, and funds are donated to a good cause. Is it only comfortable for celebrities to appropriate black culture when it feeds into their image? That's why Dunham's Instagram stands out; even though she herself has had plenty of misgivings in regard to race (her HBO show Girls has come under fire more than once for its white-washing) it's important that she's speaking up about the tragedy. So, do celebrities have a responsibility to stand with Brown? In my opinion, absolutely. It's insensitive and unrealistic to participate in celebratory ceremonies like the VMAs and the Emmys without acknowledging that outside the bubble of talent, glamour, and cash, there's latent racial divides in America that are coming to a violent head. We've yet to see what kind of tribute the Emmys will pay to Brown tonight, but whatever it is, hopefully no one is texting during it.